Unlike many of our Dublin vending service competitors, we�re flexible. We�ve initiated options to meet the specific needs of niche businesses like yours. We have energy-efficient vending machines that are Brand NEW and state-of-the-art. But that�s just on the equipment end. On the personal side, we employ intuitive, well-trained sales reps who can help you identify your needs so you can decide how we can best serve you. 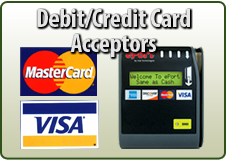 Our reps don�t offer sales pitches; they offer vending solutions. The final decision is always yours. 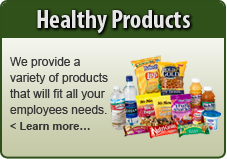 Shamrock Vending stocks your coffee or break room with every essential to ensure true �down time� for hot beverage lovers. We provide the brewed beverages�coffees, teas, hot chocolate and more�and all break room supplies: brewers, sugars, stir sticks, napkins. Our brewing equipment is provided free of charge and our service agents make sure everything you order remains fully stocked so no one ever loses time looking for dwindling supplies. 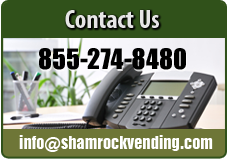 Call us today (855) 274-8480 for a free, no-obligation quote or email us at info@shamrockvending.com to learn more!